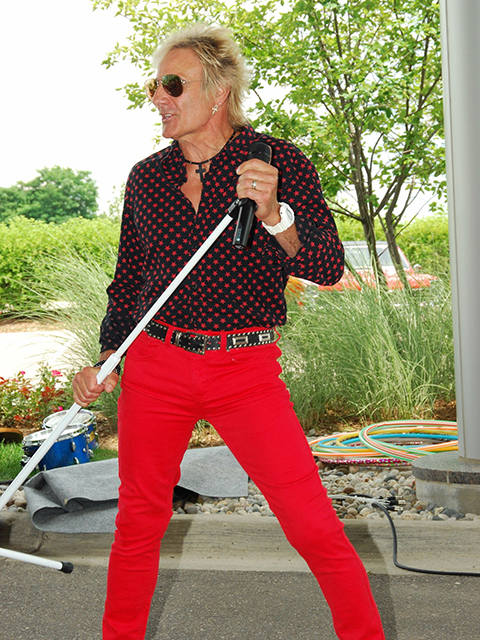 Donnie’s headlining act, “The Donny Rod Show” is a special salute to Rod Stewart. His looks, personality, and sound bare an uncanny resemblance to Rod Stewart, making you feel like you are watching the legend himself. 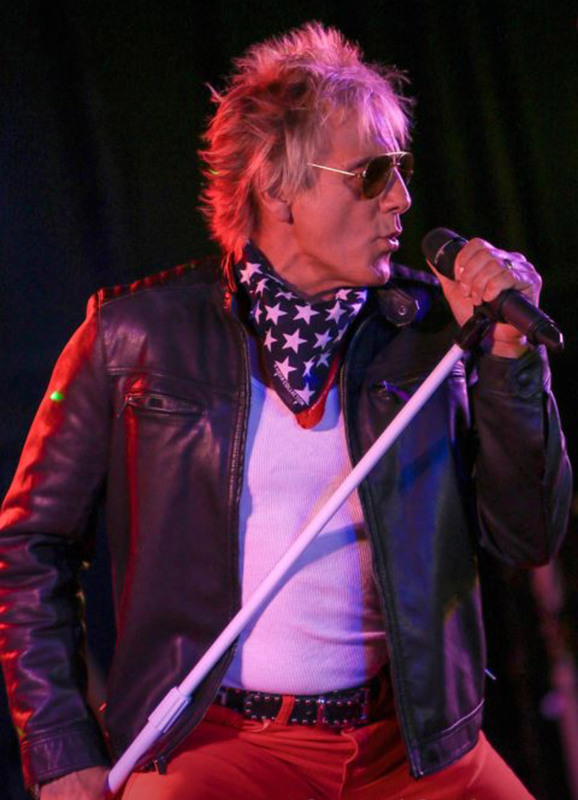 As Rod Stewart, Donnie will go back to the songs of Rod’s earlier years with the Jeff Beck Group and Faces moving forward in time to the songs of his “Great American Song Books”. Donnie has performed on stage all over the country, from large concert halls to small venues. Rod Stewart’s music isn’t all that Donnie performs. As a seasoned veteran, Donnie displays a diverse array of musical talent singing anything from Classic Rock to the Old Standards like Frank Sinatra, Nat King Cole and even modern day talents like Michael Buble. Donnie Stroup, as Donny Rod, is a Michigan native who grew up in the Metro Detroit area. His roots in singing are found as a young teenager singing in his family’s small local church, were he sang traditional Christian songs. He also sang in his high school choir and select chorale ensemble. Donnie gravitated as a youngster listening to rock and blues. Some of the artists that influenced him are Rockers ZZ Top, Led Zeppelin, Eric Clapton and Rod Stewart. Blues artists like Louis Armstrong, Stevie Ray Vaughn capture his attention too. Some legendary singers also are a part of that inspiration like Frank Sinatra, Dean Martin, Tom Jones and the Rock and Roll King, Elvis. He started out in his professional music career as a high school senior where he and others formed their first rock band called, “The Best of Us”. This group featured Donnie as lead vocal, Jerry Kenny on lead guitar, Steve Voight on Bass Guitar, and Jeff (Foss) Craft on Drums. The band was hired to play at local parties, their own high school dances and their first paying “real gig” at Ratties Animal Farm in Fraser, Michigan. After each of the band members went their own way after high school, he ventured out looking for another band. The word around town was that a local band was in need of a lead vocalist. Ironically, just down the road of his rural Macomb Township home, was the home of the lead guitarist for this band. Soon he met with Bobby (Eldorado) Duncan (Guitarist and Vocals) and formed the group “Champagne”. The two of them added Rick Eschenburg as Bass Guitarist, Michael Pfeffer on Drums and Joe Mitchell on Rhythm Guitar to make things complete. “Champagne” was one of Detroit areas hottest rock bands, playing most of the major rock clubs and concert halls in the Detroit area. They were interviewed by several of the local newspapers. 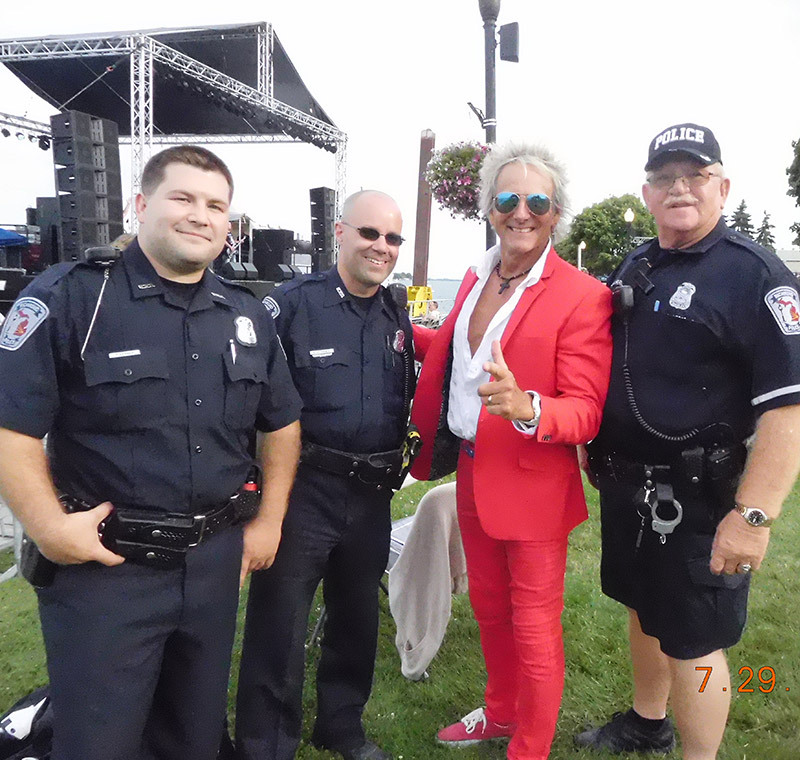 In the Macomb Daily it was stated in an Oct interview, they quoted “If there’s a note of tentativeness on the future, it comes from the Rod Stewart-Type in this quintet, lead singer Don Stroup”. Ironically, even some 35 years earlier, his audience thought his antics resembled the real Rod. Not long after this group formed, they went to the studio to record their first 45 record and demo track. The record received airplay on W4 and WABX. Stroup, with his band Champagne, performed alongside big ticket bands such as Steppenwolf, Mitch Ryder, Herman’s Hermits, Kim Simmonds and Savoy Brown, and too many to mention. After being well established, Duncan and Stroup had an idea to promote, and organize, an outside rock concert in the back acreage of the family’s Stroup Farm, where at that time he lived. For this event, they hired friends and relatives to help with ticket sales, security, and crowd control. On July 21, 1979, “Stroup Stock” as they called the event took place. It was estimated they had close to a thousand in attendance. The festival started at noon and ended sometime after midnight. Five bands performed throughout the day ending with the headliner “Champagne”. Not long after the spring of 1981, band members of Champagne decided to hire another lead singer. Donnie’s bubble burst and he was not sure what direction to go in his musical career. This was an opportunity for him to venture into a more diverse direction. Donnie received news that there were auditions in the Detroit area for the position of Master of Ceremony for Dance Revues. A prerequisite of this position was to be able to dance, sing and act. He was hired on and continued to perform for several years. In 1999 the tool shop where he was employed folded. Being a guy that always kept himself fit and liked helping people do the same; he decided to pursue a career in Personal Fitness Training. After some schooling, he became certified and insured and started working in local fitness centers and which led to opening his own business called “The Fitness Expert Personal Training and Wellness”. Presently, he continues to work as a nationally certified fitness trainer in northern Macomb and St Clair Counties. Along with booking Donny Rod shows, he continues to be a booking agent and promoter for many other acts as seen on this website. Remembering the legends as they perform the best of the Rat Pack, Elvis, Rod Stewart, Tom Jones, Neil Diamond, Bobby Darin, Johnny Cash, George Strait, Conway Twitty and more. 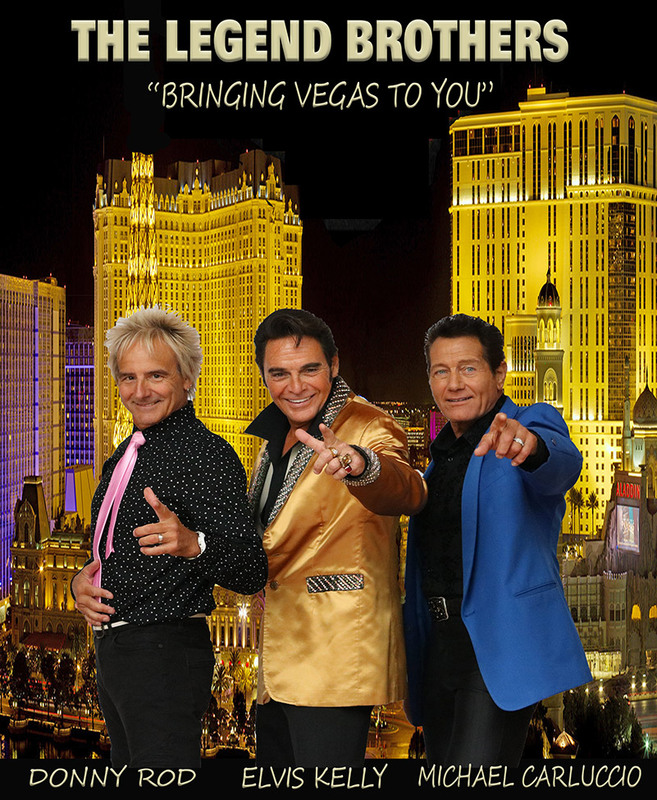 The Legend Brothers perform for VIP audiences at Casinos, Dinner and Country Clubs, Corporate Galas, Indoor/Outdoor Concerts and Private Functions. 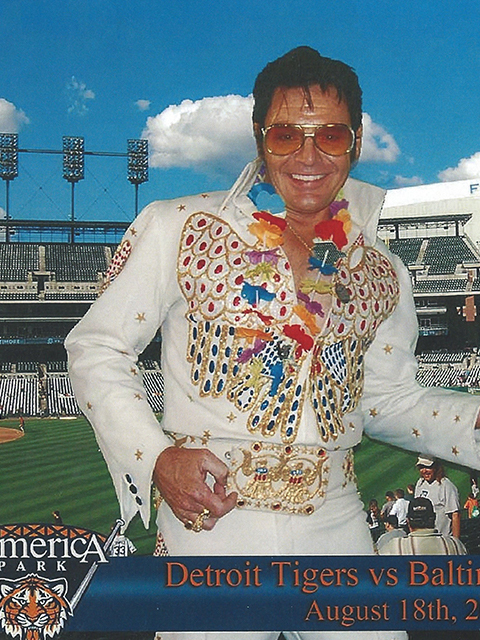 A They’ve brought audiences to their feet at Casino venues in Nevada, Missouri, Wisconsin, Michigan and Ohio, as well as The Fox Theater in St. Louis, Masonic Temple Auditorium in Detroit, The Aplex Center in Alpena, MI, The Hollywood Palm Theater in Naperville, IL and Freedom Hill Amphitheater in Sterling Heights, MI. Allow us to provide premier entertainment for your next event. In addition to his Rod Stewart show and variety solo show, Donnie can also perform as part a tribute show featuring the musical impressions of such artists as Elvis Presley, Dean Martin, Neil Diamond, Patsy Cline, and more. 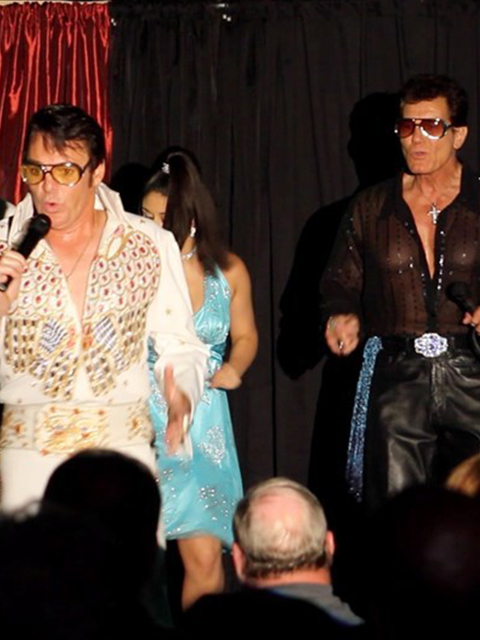 Whether it’s the Donny Rod Show or any of the additional shows that Donnie can offer, you and your guests are sure to be thoroughly entertained for whatever event you’re planning! Contact us for booking information. The following artists are available upon request. With more than 35 years of experience in the music industry, the former front man for “Rock’s Gang” has once again returned to the stage to perform his tribute to Johnny Cash. Rock’s uncanny physical resemblance coupled with vocals that yield the undeniable presence of Cash provide a hauntingly realistic performance of the “Man in Black”. A musician and songwriter at heart, Rock has recently written and recorded two original songs in the style of Johnny Cash. 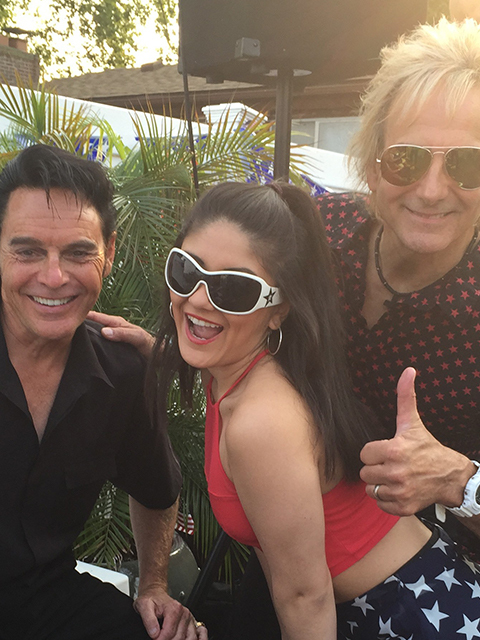 SINGER – Kelsey Rose has been performing a range of genres since the age of 3 and is known for her magnetic personality that comes alive on stage with an energy that never stops. She has performed in hundreds of shows across the Midwest, from the Ford Field grand opening event in Detroit to local and regional festivals, fundraisers, community events, corporate functions, senior centers and everything in between. 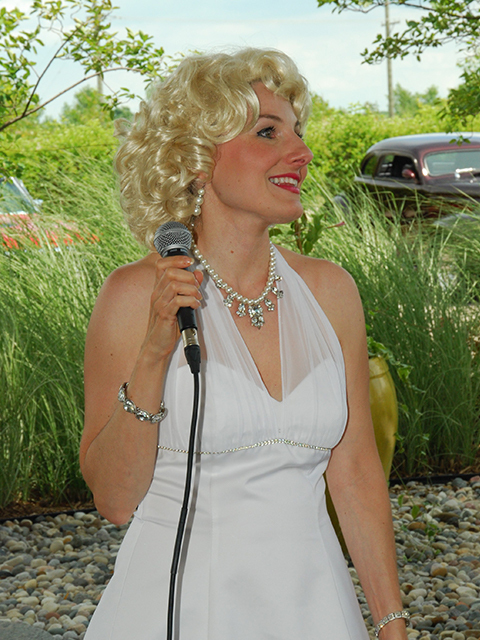 With a voice that is reminiscent of Brenda Lee and Patsy Cline, Kelsey has also found a niche as a tribute artist. She has developed quite a following and is currently a featured artist on the Armed Forces Radio Network which can be heard throughout the world. It gives Kelsey great pride to help Veterans and Servicemen both at home and abroad. In addition, she performs the National Anthem for various professional and amateur sporting events. Kelsey has released several original songs and is currently working on more original material. She is also the featured vocalist for 24:7 Productions latest release, Believe. Kelsey grew up in the music industry and is following in the footsteps of her father, a member of the 70s/80s band, TeeZer. Over the years, Kelsey has worked with the Jonas Brothers, Debbie Gibson, and Radio Disney. She has performed in the Macy’s and Chicago Thanksgiving Day Parades, at the Detroit Jazz Festival, and at TedX Detroit. DANCER – As a dancer, Kelsey is currently on faculty with Showstopper Dance Convention teaching tap and is a dance instructor at two Metro Detroit area competitive dance studios. She also works independently as a choreographer for students throughout Michigan. In addition, she is the director and lead choreographer for the pre-professional tap company – the Detroit Tap Repertory. She is a member of Shelby Kaufman’s tap company, G.L.Y.D.E., and Detroit’s Mission Accomplished Crew. Kelsey is a member of the Cecchetti Council of America and is branching out into the ballroom arena in her second season of amateur competition. In 2015, she was a contestant on FOX Network’s So You Think You Can Dance – Season 12, advancing to the Vegas round. She has had the privilege of studying under and performing alongside many of today’s most respected tap dancers and legends including Arthur Duncan, Ardie Bryant, Bill Irwin, Gregg Russell, Chloe Arnold, Sarah Reich, Chris Broughton, David Mann, Jenefer Miller, and Suzy Guarino. As a choreographer, Kelsey draws from her training and range of experiences as a singer and dancer to create a style that is intricate, gritty, passionate, and entertaining. Her pieces have received many awards and accolades across the country and she is quickly becoming one of Midwest’s premier tap choreographers. Diana holds a Bachelors Degree from Oakland University with an Auditioned Minor in Music Performance. She has been performing professionally for 19 years, & teaching vocal music for the past 13. Diana worked as Vocal Director for Lakeview Community Theatre from 2004-2007 and has served as a judge for MSVA competitions, Miss America affiliated pageants as well as Idol contests in the Metro-Detroit area. She is a two time recipient of the Marjorie Deo Award for vocal performance given by Mu Phi Epsilon International Music Fraternity. She was honored to perform as Liza Minelli at the afterglow for NAIAS Cars and Stars 2006. Diana has participated in various Miss America pageants and held the title of Miss St. Clair Shores (1997-1998). Diana Specializes in multiple genres of music including: Classical, Musical Theatre, Top 40, R & B, Gospel, & Jazz and can be seen performing with various professional bands in the Metro-Detroit area. Donny’s Show was a very entertaining evening full of laughter, hand clapping, singing along and just listening to very well performed songs. We had nothing but excellent reviews from our show. We look forward to having you back next year. 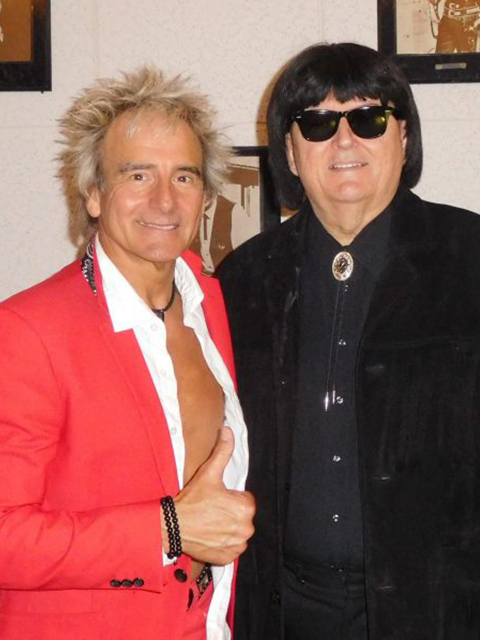 Very entertaining and professional with the looks and his moves as Rod Stewart. 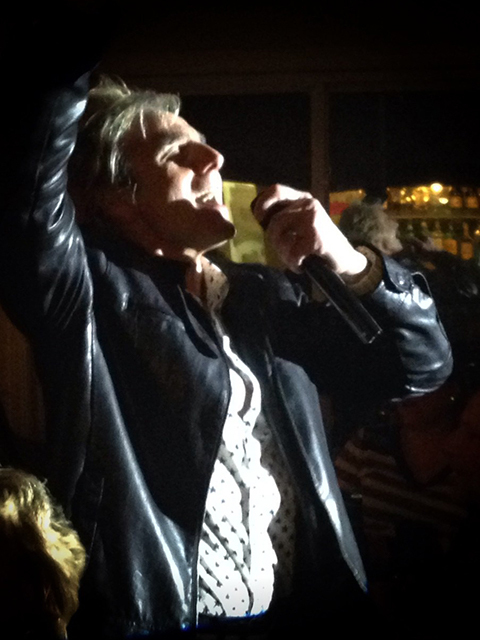 I had a 60th birthday party and he seriously made the party extraordinary and I had him do a second show! – I Love you, Donny!! 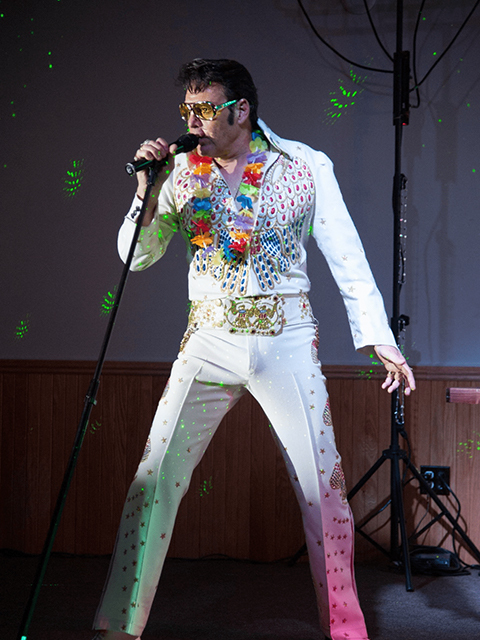 To book The Donny Rod Show and/or our other entertainers for your event, complete the form below to get a free quote or give as a call at (586) 725-8270.